Built in 1906, the Denver and Rio Grande Western Railroad Depot in Grand Junction opened on September 18, 1906, the same day that the tragic earthquake struck San Francisco. In fact, the first people through the Depot were not rail passengers, but rather refugees fleeing the nearly destroyed city. Physicians attended to the ill and injured, while volunteers served food, set up cots and handed out clothing as needed. The Depot was a most magnificent refugee camp. Designed by famed Chicago architect Henry J. Schlacks in the Italian Renaissance style, the Grand Junction Depot was considered to be the finest depot of its size in the West. Constructed of white brick with fine terra cotta details, the Depot featured a glass passenger canopy, large arched stained-glass windows, and an interior with 22-foot ceilings, solid oak trim and plaster pilasters. The Grand Junction Daily Sentinel reported at the time of opening that the Depot was “…a credit to a city five times as large. 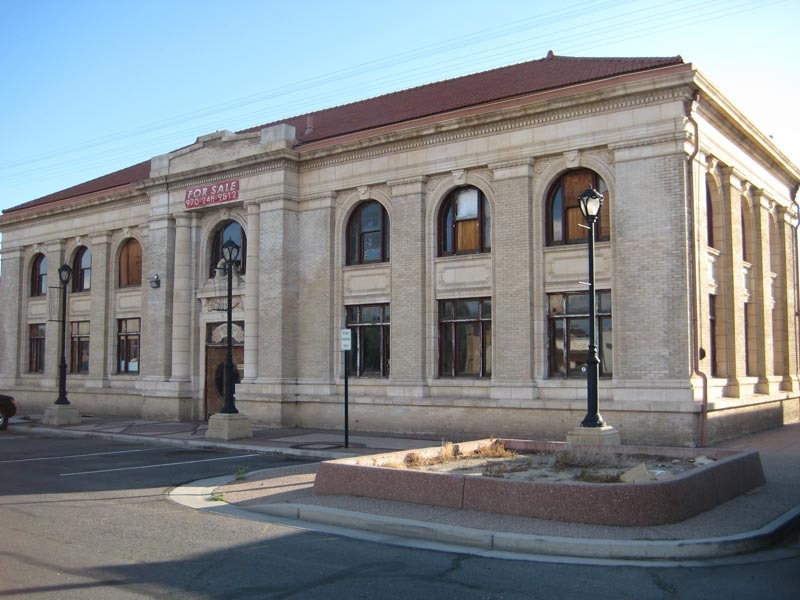 The putting into service of this splendid railroad building marks an important era of local history.” The Grand Junction Depot was added to the National Register of Historic Places in 1992. The Depot fell out of service in the 1980s and has been vacant since. Some time before 1930, the magnificent waiting room was converted to two levels in order to accommodate offices on the second floor. The second floor was subsequently removed, which has left vicious scars that require substantial restoration of the original plaster details. In addition, electrical, plumbing and HVAC systems need complete updating in order to accommodate a new use for the Depot. 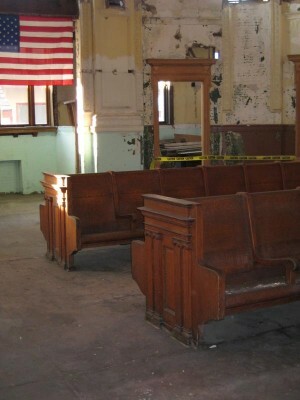 In the early 2000s, the owners of the Depot had planned a full rehabilitation and restoration of the building with the intention of operating a brew pub; however, the economic crisis dashed those plans and as a result the Depot was foreclosed upon and was bank-owned for a period. A “Friends of the Grand Junction Union Station” group organized applied for and received a grant from the State Historical Fund to complete a historic structures assessment. Colorado Preservation, Inc. worked with the friends group and the bank in order to assist in finding a preservation-minded buyer, while also collaborating with the City of Grand Junction in an effort to use the rehabilitation of the Depot as a catalyst for revitalization of the surrounding area. The Grand Junction Depot was purchased in 2015 and Kraai Design was contracted as the architect for the project. Plans are currently developing with assistance from a grant from the State Historic Fund.